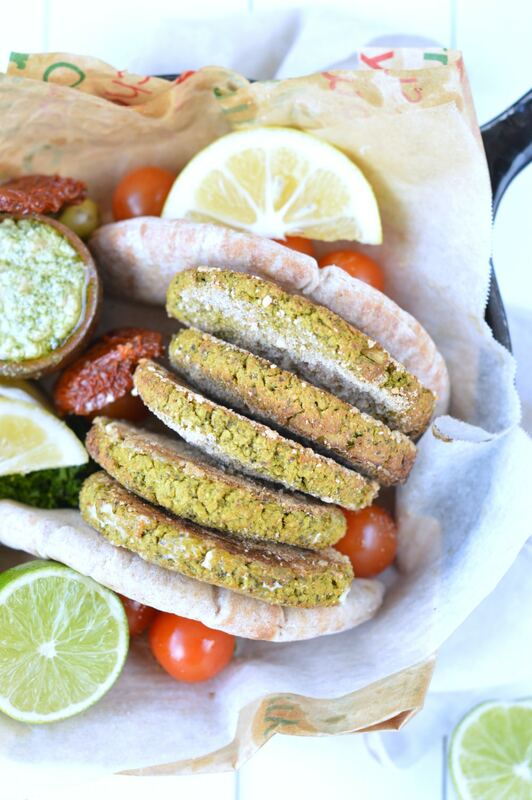 This easy falafel recipe is the one you need for a quick & healthy family dinner. The falafel batter is simply made within 10 minutes in your food processor and it is ready to serve after only 25 minute baking. Trust me, after trying this easy falafel recipe you will never buy any ready made falafel mix. 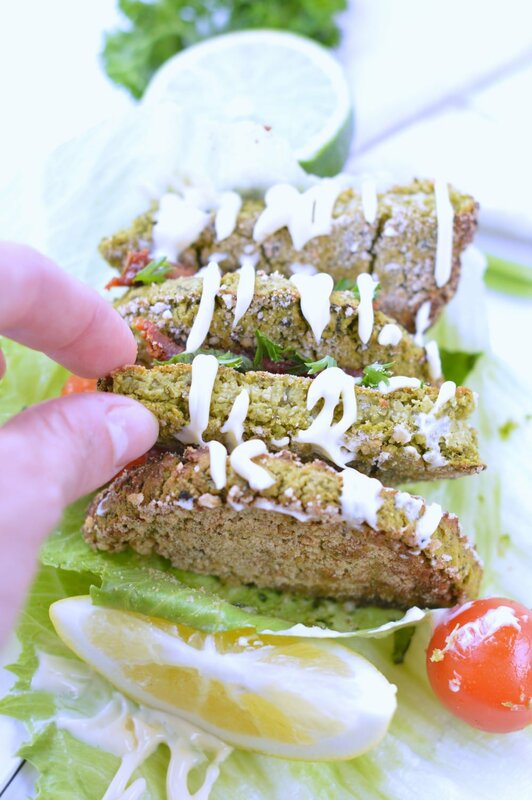 Plus, this easy falafel recipe is loaded with greens, don’t contains dairy or eggs and I also provide a low carb option for all my low carb followers! I am back from New Caledonia and I had a wonderful time with my family. I enjoyed getting back to my roots – eating French food everyday and speaking French all time. But I also enjoy being back home specially in my kitchen. During holidays I almost eat at the restaurant everyday and even if the food was delicious, I was missing my own food. So tonight, as mum and dad are still at home I prepared an easy family dinner. I created this easy falafel recipe using lots of fresh greens spinach and herbs from the garden – a combo of parsley, basil and coriander. As always I inspired myself from an authentic falafel recipe that I revisited – a lot! – to be loaded with greens and suitable for people with food allergy. I choose to bake the falafel to avoid the excessive oil that you usually get from falafel. I used two different coating ingredients to enhance the crispiness of those easy falafel. First batch has been coated with my favorite gluten free and vegan breadcrumbs from Bakeworks. Second batch has been coated with almond meal for a low carb option for my diabetic mum. Both recipe had a delicious crispy texture with a lovely garlic and herbs flavor. I serve those falafel with pesto, lots of fresh vegetables including tomatoes, lettuce and extra fresh lemon to drizzle on top. I also like to drizzle some cashew aoili on those easy falafel. 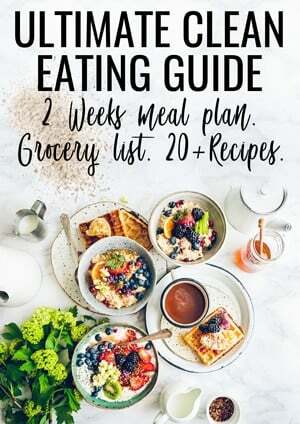 It is easy to prepare and store well. I usually like to prepare the cashew aoili following this blog recipe here. I hope you enjoy this new recipe. Don’t forget to comment below if you make this easy falafel recipe and tell me how you love eating those! It is always great to know a bit more about you. Enjoy, Carine. Optional: for crispy falafel use an extra 1/3 cup gluten free breadcrumbs to roll the falafel into before baking- I used bakeworks - or replace by almond meal for a low carb recipe. Prepare the spinach. Wash the leaves, drain and trim. Finely chop the spinach leaves. Set aside into a bowl. Drain the soaked cashew nuts (or cashew pieces for a money saving option). Set aside into a bowl. In a food processor using the S blade attachment, place all the ingredients starting with the drained canned chickpeas, cashews, spinach, crushed garlic, onions, cumin, fresh herbs, lemon juice.and breadcrumbs. Process until it forms a sticky thick batter. You may have to stop the food processor each 30 seconds scrap down the sides of the bowl and process again until all ingredients are combined and forms a batter. If it is too dry add a bit more lemon juice 1 tablespoon at a time. Using a spatula scrap down the bowl of the food processor and transfer the falafel batter into a large mixing bowl. Adjust salt and pepper at this time - I used about 1/2 teaspoon of salt and a pinch of ground black pepper. Place in the fridge to firm up for 15 minutes. Meanwhile preheat your oven to 200 C.
Prepare a baking tray covered with parchment paper. Set aside. Remove the batter from the fridge. Using a mechanical ice cream scoop maker, scoop some batter and shape the falafel into balls. 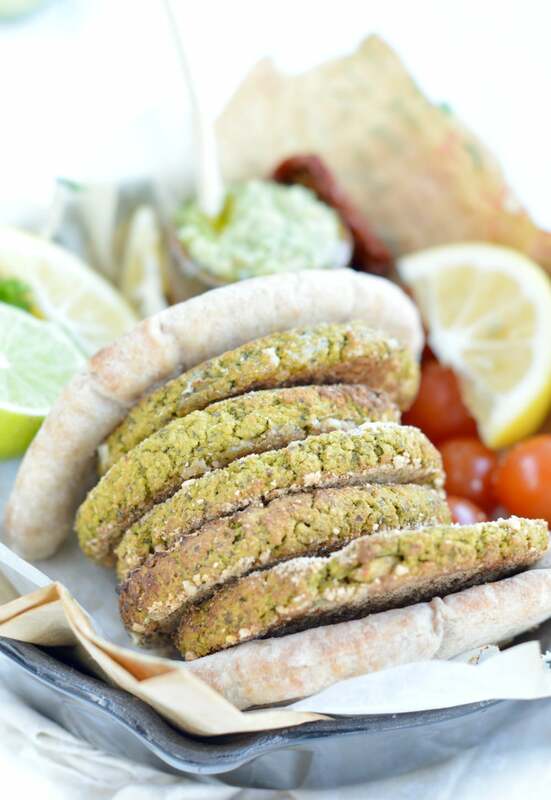 For crispy falafel coat each of them with the extra gluten free breadcrumb - or use almond meal for a low carb recipe. Place each falafel onto the prepared baking tray. Bake for 25- 35 minutes or until crispy or the top and slightly brown. If it cooks too fast reduce the oven to 180C and keep cooking until crispy. Serve straight away with lettuce, tomatoes, sundried tomatoes and pesto. You can also drizzle a cashew aoili on top if you like. This recipe serve 8 falafels. The batter can be prepared the da before and stored in an airtight container in the fridge for up to 3 days. You can also freeze this falafel batter and defrost the day before you want to bake them. These look delicious!! Do I use raw cashews and then soak? Or do I buy regular cashews, and soak those? Hi Kelli, I used raw unsalted cashews. Sometimes I buy cashew pieces which are much cheaper for recipes like this one where the cashews are going to be pulsed into the food processor. I hope it helps! Enjoy the recipe, it is delicious! Carine. Yum, these look so good! I’ve had some successful falafel attempts and some that are just dry and blah and crumbly. These look awesome! Love the spinach in there too. I’ll probably add them to a giant Mediterranean-inspired salad! Thanks! Hi Deryn, You will absolutely love this recipe! it is very simple to make and delicious! Let me know what you think 🙂 have a great day and thanks for sharing !! See you soon on the blog. Carine. This looks great! Would I be able to swap out the cashews for almonds? People I am serving have allergies to all nuts except almonds. Hi Denise, Sure you can! Any nuts works very well in this recipe! Enjoy the falafel and see you soon on the blog. Carine. Welcome on my little blog my friend! You’ll love those simple spinach falafel. Such a great easy dinner to boost our 5-a-day 🙂 I hope you’ll find even more delicious recipes on the blog! See you around. Carine. Hi Jessica, You add everything together into the food processor. Enjoy the recipe! Carine. I also added less lemon juice as I didn’t have enough. Hi Kerry, It should not be. You may have not drained the chickpeas enough. You can add 1/3 cup of breadcrumb into the batter to dry out the mix. It will works very well and makes crispy falafel. Let me know how it goes! Carine. Hi! For the cashews do I have to dry them out? Or can they go right into the food processor after draining? Hi Emily, I soaked my cashew and I simply drained them in a drainer. No need to pat dry or dry them more than that. Enjoy the falafel recipe and let me know how it goes! Thanks for trying my recipe Emily. xoxo Carine. Hi Carine, does this recipe call for two full onions? Or are brown onions a smaller onion? Thanks! Yes the recipe calls for 2 small brown onion. They are lime size onion in New Zealand. Enjoy the falafel recipe ! XOXO Carine.